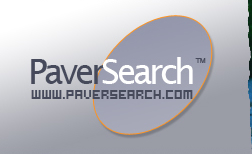 Welcome to our Paver Sand and Base Section! Driveways, walkways, patios, and other paved areas need a sturdy foundation. Any weakness in the foundation will cause some serious structural damage to the entire structure, hence laying to waste all efforts poured into the project. This is why you should ensure that you will have a good, strong base for your hardscape structures, particularly the pavers. Making certain that your paver sand and base materials are properly laid is one step towards a strong and durable paver surface that you can benefit from for decades. 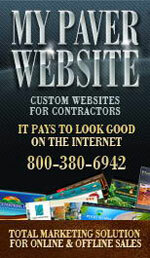 The materials commonly used as base for paved surfaces are gravel, limestone, and other crushed stone. The base material typically has crushed stones with sharp edges to help improve base compaction and achieve a stronger foundation. The thickness of the base materials usually depends on the type of sub-base. For example, if you have a clay sub-base, then your base materials should be thicker than what you would apply if you have a sub-base of firm soil. Meanwhile, the sand bedding should be within 1- to 1 ½-inch thick to ensure a sturdy base and prevent movement of paver units. The important thing to remember when preparing the paver sand and base materials is that they should be able to nicely support the pavers for years and decades. The base should be able to withstand sinking, as well as to keep the pavers nicely in place. Only when you have a solid base can you expect to have sturdy paved surfaces that will withstand years and decades of use. Watch these videos to learn more about the proper way of installing pavers. With these videos, you’ll discover how to correctly prepare the paver sand and base materials to guarantee a successful DIY paving project. The area where the pavers will be set must be excavated to the desired depth. The site must be properly cleared of debris and vegetation. The sub-base must be tested, and the thickness of the base material must be appropriate to the type of soil. The crushed stone must be spread over the sub-base in an even layer. Each layer should then be compacted using a mechanical compactor. Cover each layer twice, moving the compactor in a circular pattern. Once the layers of base materials are compacted well enough, apply sand over the area (around 1- to 1 1/2-inch thick). The sand bedding should be nice and even just like the layers of crushed stone. You may opt to place geotextile over the paver sand and base materials for added protection. Once the base is fully prepared, you may now begin installing the pavers one by one and then fill up the joints with paver sand. Once the entire surface is properly cleaned, you may then apply sealant to complete the process. Browse through these photos to get more ideas about the systematic approach to applying the paver sand and base materials. Below is a list of Sand and Base Resources throughout the United States.